Want to play YouTube 4K smart video, Sony/Samsung/LG 4K demos and iPhone 4K 30fps/60fps recordings on Mac? Best Mac 4K UHD video player – 5KPlayer is the key to decode such high-res videos in 2160p to offer smooth playback without codec issues and render wonderful UHD images and DTS surrounded sounds on Mac computer. 5KPlayer: Why it is the Best Free 4K UHD HEVC Video Player for Mac? The popularity of 4K videos is growing rapidly, especially in the smart TV field. However, 4K TV is really not cheap and portable that not all of us are willing to afford one. So, is there no way to enjoy the stunning 4K ultra HD resolution videos? Don't be disappointed! We are lucky to own Apple 4K Retina 21.5in iMac and the 5K Retina 27in that supports 4K videos natively, and now professional 4K UHD player Mac will beef up your Mac computer to play 4K UHD HEVC videos movies with stunning clarity. Worth mentioning, normal computers can play 4K UHD videos as long as your UHD player supports them, making it possible for all of you to enjoy 4K UHD videos. What Makes 5KPlayer the Superb Mac 4K UHD Video Player? Supported mac OS: macOS 10.14 Mojave, macOS 10.13 High Sierra, macOS 10.12 Sierra, OS X 10.11 El Capitan, OS X 10.10 Yosemite, OS X 10.9 Mavericks, OS X 10.8 Mountain Lion and earlier. With built-in 450+ video codecs, 5KPlayer can support all video formats supported by Mac and Windows, like MKV, AVI, FLV, MPEG, WMV, MOV, MP4, etc in 1080p/720p. As for 4K ultra HD videos, 5KPlayer recognizes H.264 (AVC)/H.265 (HEVC) codec easily and decode them instantly to let 4K video playback process well. When you are having a 4K display computer like 21.5in iMac, this UHD player Mac will 100% show everything of a 4K UHD video in crystal-clear images and also amplify the advantage of a 4K screen. If your computer comes with a HD display, a good 4K video player like 5KPlayer can also render the good image quality and accuracy of a HEVC, UHD, HD, 1080p, etc video as much as possible. 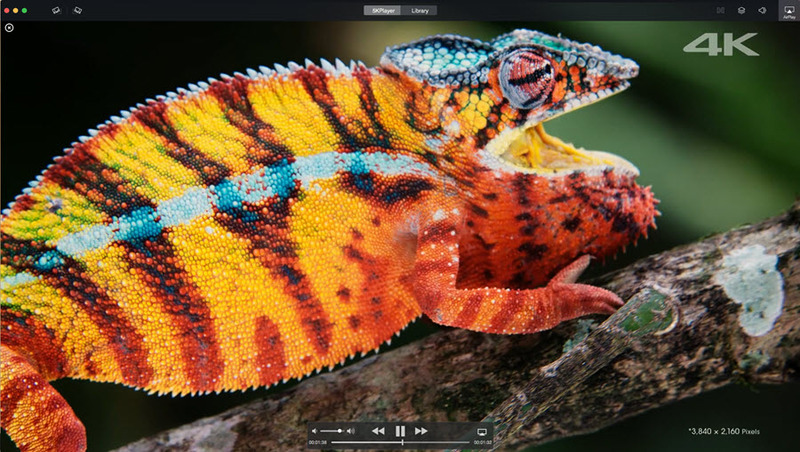 This 4K UHD video player for Mac is one of the 2019 top 5 4K video players for Mac, it is user-friendly with simple interface and operation that you just drag and drop any 4K, H.264, HEVC, MKV, AVCHD, AVI video to it directly. 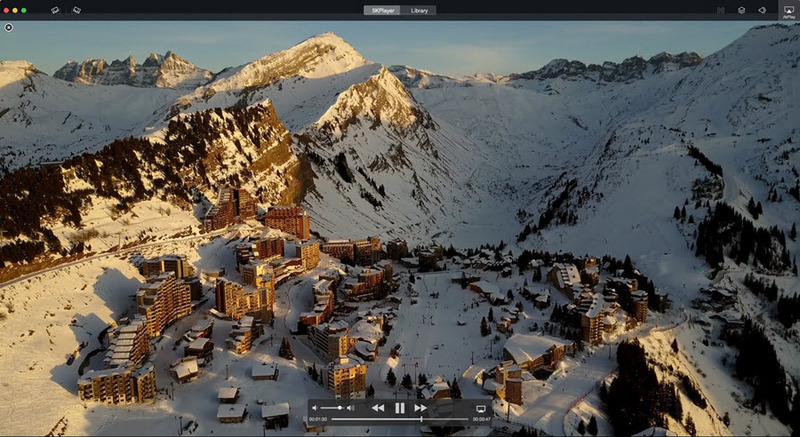 The advanced Preference settings allows you to freely manage your 4K UHD video like add subtitles, rotate videos, and more importantly set the aspect ratio to perfectly match the screen of your Mac. If you are interested in 5KPlayer, just click the download button to free download it to have a try. If you still hesitate to choose it as your default 4K UHD video player for Mac, we have done some experiments to help you make the decision. We have choose 4 samples to test whether 5KPlayer deserves the name of the best 4K UHD video player for Mac or not. Test result: When playing this 4K UHD video with 5KPlayer, the smoothness of the playback is needless to say. Every frame looks charming even on low-power computer. The hue, saturation and luminance comes great clarity that makes your eye and heart comfortable. Every smile of the girl is sweet, every fur of the dog is lively. The sky is quite blue, the water is crystal-clear and every move is motivated. 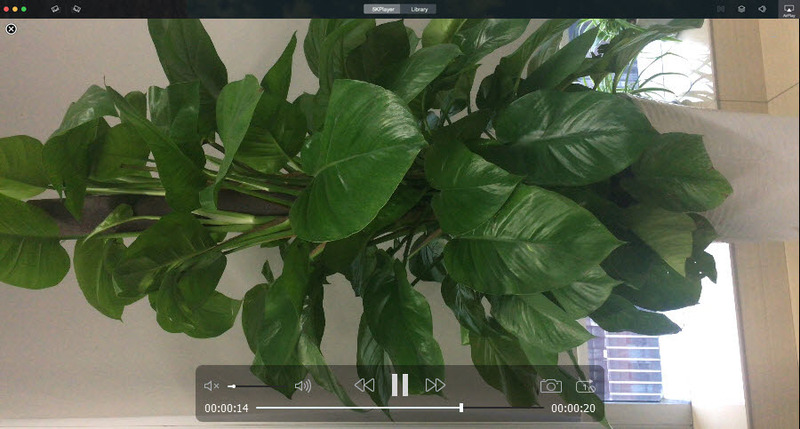 Test result: When I transfer this recoded 4K video to computer via DearMob iPhone Manager to play with 5KPlayer, 5KPlayer works smoothly without occupying much CPU. The image and action displayed by this 4K UHD player Mac are lively and vivid with the exact resurrection of what you see with your eyes. As this video is recorded by myself, so the resource is not accessible. If you want to have a test, you can record one with your iPhone. Test result: Playing 4K at 60fps is smoothly with 5KPlayer, let alone this video shot in 4K 24fps. Besides DJI Mavic Pro, this 4K UHD player Mac also supports 4K UHD videos shot with GoPro, HDCool HC8000 4K action camera, Yi Discovery 4K action camera and more. Have fun with your shots and also enjoy them on Mac with 4K/5K display. Test result: I'm not sure if this video is the real 4K video, for its resolution is 1920x1080p. As most YouTube 4K videos are of this kind, probably you are finding a 4K UHD player for Mac to play such YouTube 4K videos. However, the focus is not on a 4K UHD video here, but on a 4K UHD video player. No matter which type of 4K video you have found, UHD player Mac 5KPlayer can handle it with ease, at least it is compatible with 4K UHD videos from YouTube – a site contains most of the 4K video resources. From the experiment above, all the four 4K UHD video samples are played by 5KPlayer successfully without any choke. Besides a qualified 4K UHD player for Mac, 5KPlayer also acts as a online video music downloader and AirPlay/DLNA streaming software that you can make use of to download a variety of online video music from YouTube, Dailymotion, Facebook, etc and AirPlay mirroring or DLNA streaming them to HDTV wirelessly. Top 10 Real 4K Video Players for Windows 10 Review Top 10 4K video players for Windows 10 review is provided here for you choose a preferred and appropriate 4K video player to play 4K UHD videos movies on Windows 10/8/7 smoothly. How to Solve VLC H265 HEVC 4K Playback Problems VLC supports h265 HEVC codecs on many OS, like Ubuntu, but playback problems spring up every often. How to solve VLC h265 HEVC playback issues? Here provides the answer. HDR 4K Player: Hardware Decoding vs Software Decoding A test of CPU workload when playing videos in a software decoding environment and a hardware decoding environment.